Legion Alpha: New Dungeon and Battlegrounds! wow Legion Alpha: New Dungeon and Battlegrounds! Time is ticking and the Legion Alpha is changing with it! It looks like we've got a new dungeon to play with, as well as presumed new battlegrounds in the works. The new dungeon that hit the servers last night was the Vault of the Wardens. It's a 5-man instance located in the Broken Isles, but we've actually seen it already in the Alpha. When starting a Demon Hunter, the questline will eventually lead to you waking up after being imprisoned in the Vault. You help to battle the Legion forces inside, but it seems we will be returning to clear out the riff-raff. The dungeon itself is actually pretty bugged at the moment, with quite a few issues, but there have been groups clearing the dungeon. You can check out a playthrough of it posted by Sco, the GM of Method, who was playing with members of the guild Exorsus from Russia. You can check out his stream and YouTube for more content. If you're interested in reading the feedback of the new dungeon, you can check out the US and EU forum posts. In other news, it appears there might be a new battleground coming with the new expansion, but it is yet to be confirmed. User Exelan-WOW posted on Reddit an album of screenshots showing a "Dev Map" in the battleground queue menu, found here. The comments on the thread are rife with speculation as to whether or not the Assault on Stormwind is simply a placeholder for a starting scenario, or if we really will get a 20v20 battleground based on the capital. In these screenshots we can also see a 40v40 map that is currently named after an encounter designer, Nathaniel Chapman. Might this be the map that was datamined in WOTLK, where a battleground is based on Azshara? 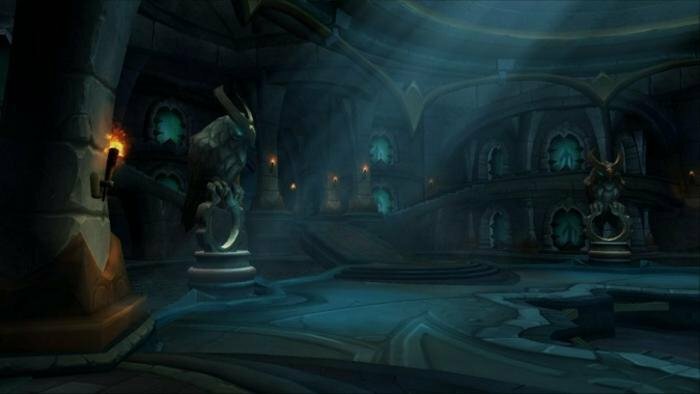 Regardless, it's always exciting to see the potential for new PvP content amidst all the new dungeons and raids!